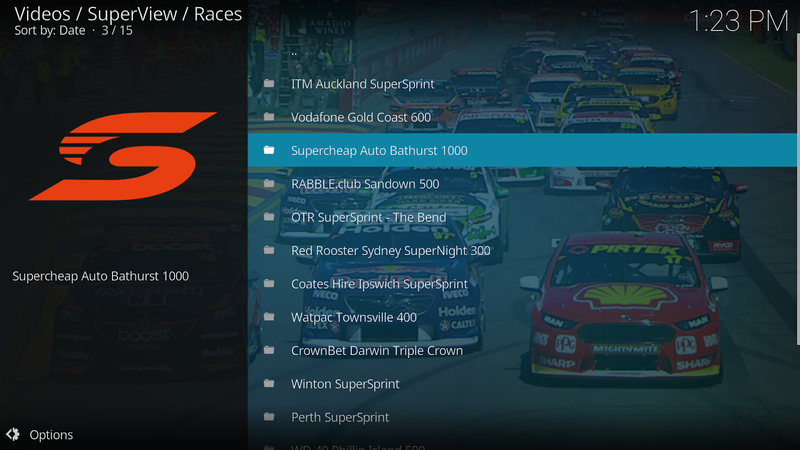 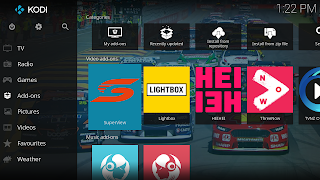 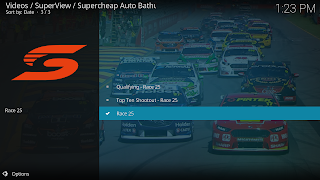 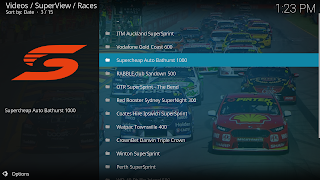 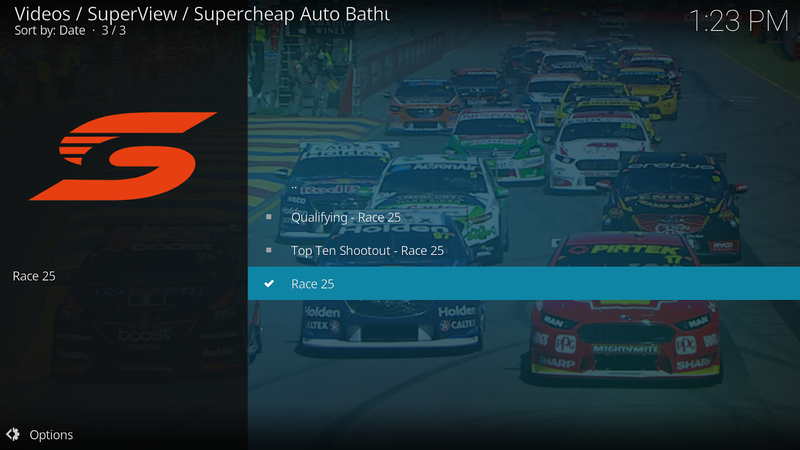 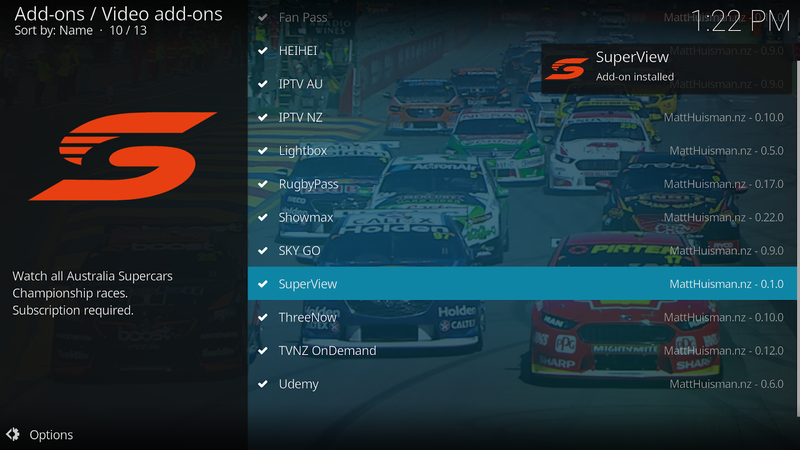 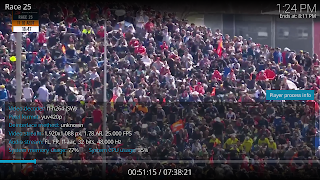 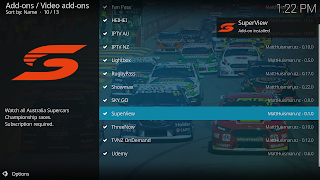 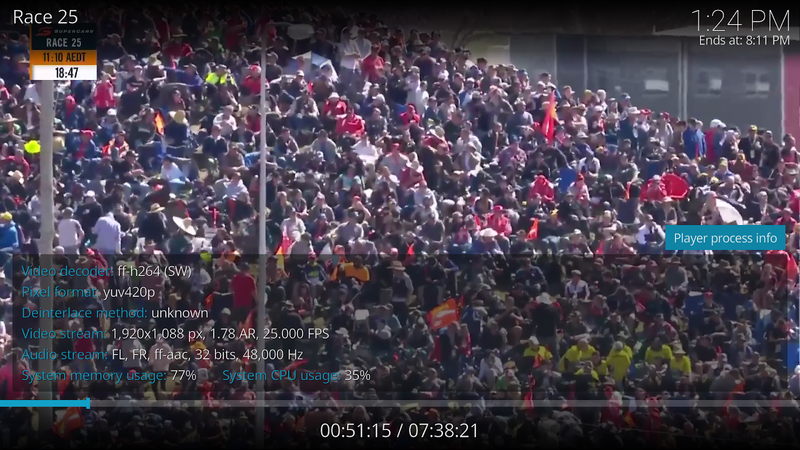 Watch live & replays of races from Supercars SuperView. Select "Video add-ons" then "SuperView"
You will need to login with your SuperView credentials before playing any content. 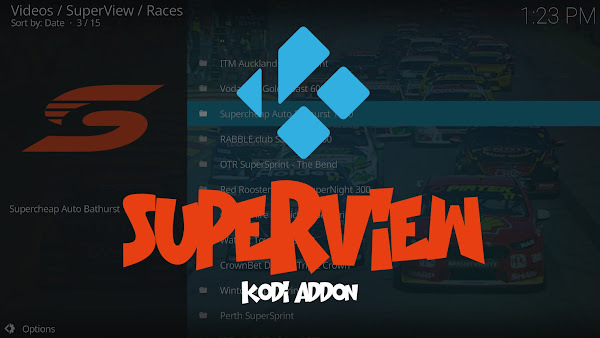 SuperView sessions last 48 hours. After this time, a login is required again. 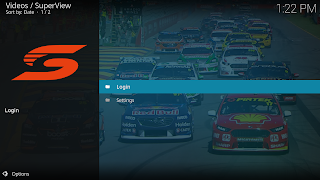 The add-on will give you the option to save your password when logging in. 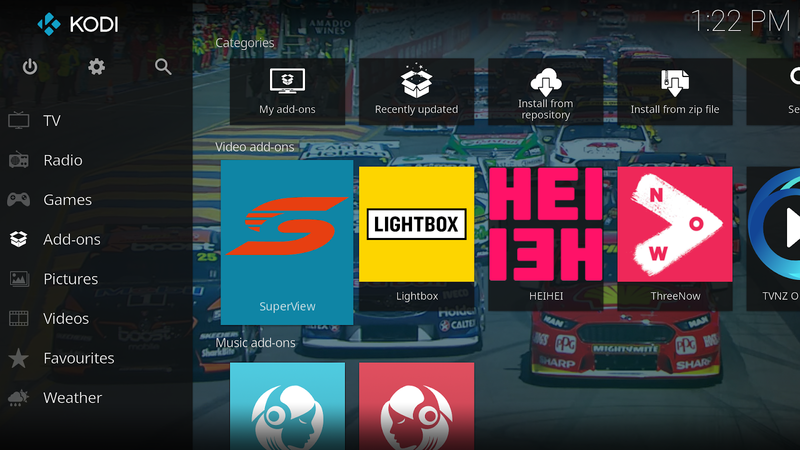 If Yes, the add-on will automatically login again when the session expires. 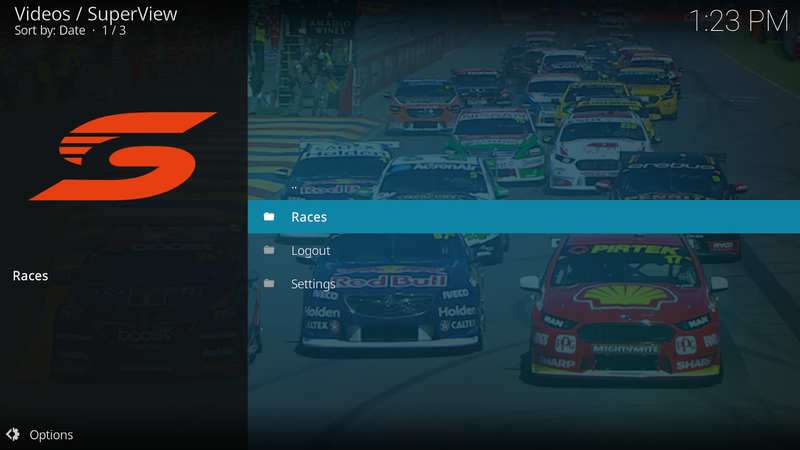 It stores the username, session cookies and password (if selected) in the add-on's user-data settings.xml file.